play tetris (sort of) in viewport. 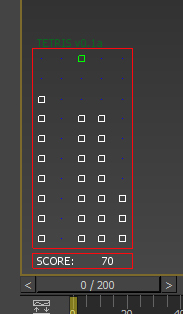 This is a full out Tetris game done in Max. It also has an online scoreboard where you can submit your score, and prove that you are the 3D Studio Max Tetris Master!